EFI™ is a global technology company, based in Silicon Valley, and is leading the worldwide transformation from analog to digital imaging. 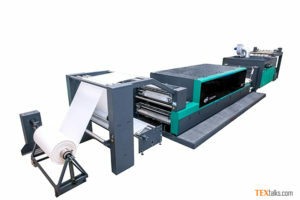 EFI develops breakthrough technologies for the manufacturing of signage, packaging, textiles, ceramic tiles, and personalized documents, with a wide range of printers, inks, digital front ends, and a comprehensive business and production workflow suite that transforms and streamlines the entire production process. 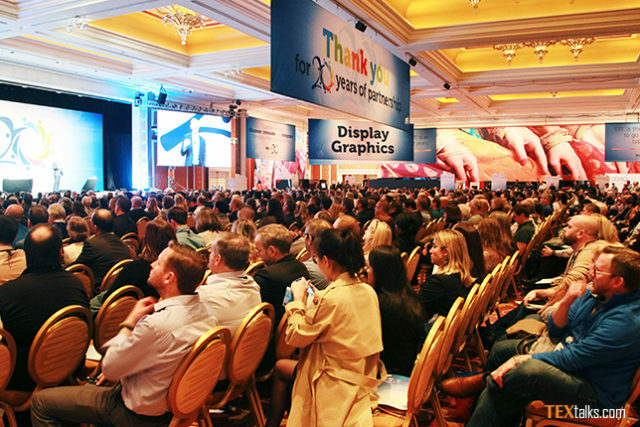 At the 20th annual Electronics for Imaging, Inc. EFI Connect 2019 conference in Las Vegas, similar to last year the attendance has been large. 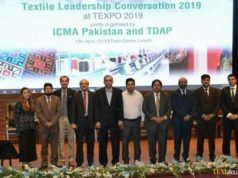 The tone of the conference like always is upbeat and positive with a vast number of educational sessions, equipment demonstrations, vendor presentation and general camaraderie among the attendees taking place. Mr Bill Muir, EFI CEO said that in mid of 2018, we fulfilled the vision of IQ Cloud which provides a single platform from where all the devices can be controlled whether its inkjet, single pass, double pass or toner based. All of these can be managed and controlled through a single Fiery environment. It enhances the overall use experience. We are now looking forward to 2019; we are excited about Fiery future prospects, new investments and opportunities. 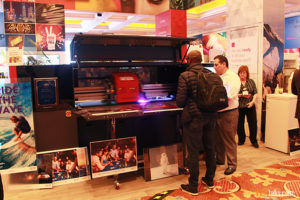 – EFI’s newest high-speed, premium-quality hybrid flatbed/roll-to-roll superwide-format LED printer, the VUTEk® h5. The 24 months of technological innovation explained at the conference began with the FabriVU 520 IRIS Dye Sub Ink in the Q1Y17, followed by Flexy introduced in the Q2Y17, VOGUE EFI GO! App in the Q3Y17, POWER in Q4Y17, FabriUV 340i ARIA Direct Disperse ink in Q1Y18, COLORS in Q2Y18, TERRA Solution in Q3Y18 and now BOLT in Q4Y18. The Unified Fiery Driven Print Room provides a single platform from where all the devices can be controlled whether its inkjet, single pass, double pass or toner based. All of these can be managed and controlled through a single Fiery environment. The EFI IQ Cloud is still under development. The intelligent IQ Cloud services offered for Fiery which allows the user to aggregate the data from all the equipment and manage the performance, standardizing, setup, consumption, automated ink ordering, equipment maintenance. It’s a great new technology. 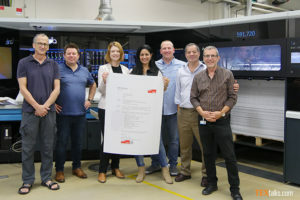 The UV Hybrid/Flatbed High Volume Production Class, awarded 2018 product of the year award was presented at EFI Connect 2019. It is the 6th generation LED hybrid platform. The first EFI LED hybrid with 7 picoliter, 1200 dpi capabilities and all new technology developed from ground up. It is 3,2m wide LD hybrid. It includes 4 or 8 (optional) color modes plus white and up to 5 layer printing in a single pass. It also comes with automation and media handling options according to business needs. Ms Adele Genoni – Vice President – General Manager – EFI Reggiani highlighting the advantages of COLORS told that it provides the maximum printing performance. Colors has been a huge success for EFI. Within a month more than 25 units have already been sold. It gives the customer maximum print and color satisfaction. Colors can also be used with a 6 + 6 configuration which enhances the production twice the time without compromising the print quality. Another configuration that is available with COLORS besides the 12 and 6 + 6 is 11 colors plus chemistry which allows special effects such as increased penetration. She further told that with the TERRA Solution, 4 range of printers including Reggiani TERRA Titan, Reggiani TERRA Platinum, Reggiani TERRA Gold and Reggiani TERRA Silver are available that are scalable according to the productivity needs of the customer. She further informed that EFI Reggiani BOLT was launched on November 15, 2018. 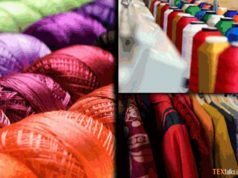 BOLT she stressed has rewritten the rules of textile single pass. It comprises of unparalleled speed reaching a 90m/min operational speed on fabric. At startup and during production, there is no time lost for maintenance. It provides superior coverage and printing uniformity. It has a compact footprint on the environment. It is ideal for special effects and hybrid solutions combing the digital and rotary technology. Also, thanks to its high productivity and unmatched reliability, it has a competitive ROI. 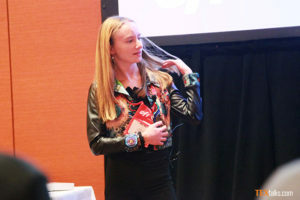 Moreover, Ms Ariel Swedroe, a teen fashion designer, featured in a special “Future of Print” session with Journalist demonstrated how up and coming designers innovate using leading-edge, streamlined digital production technologies like EFI Reggiani textile inkjet printers. Ms Ariel Swedroe told that she always had a passion for fashion. Swedroe got the idea to print her grandfather’s colorful and intricate collage designs onto fabric. She thought they would be beautiful prints for apparel, and she also loved the idea of extending his creative work in an entirely new direction. That idea was really the spark that led to her own business, Swedroe by Ariel. She also will speak to the conference participants today. 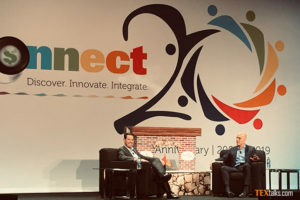 Mr Joe Popolo, Freeman CEO, in a fireside chat with Mr Bill Muir, EFI CEO said that Freeman is a 92 years old family owned business. 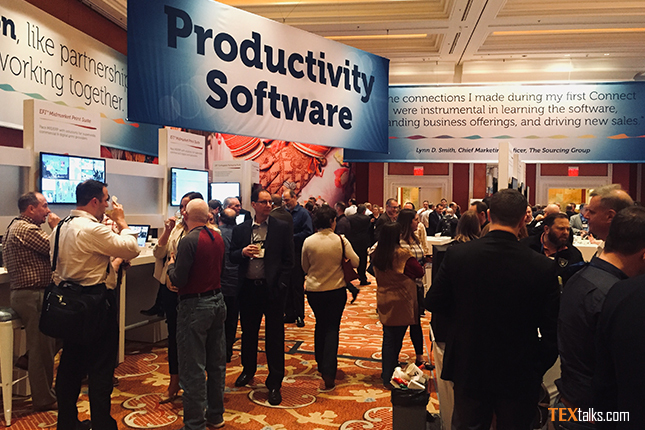 Freeman helps its corporate and trade association clientele with big B2B events like EFI Connect. He told that Freeman is the official contractor of EFI Connect. 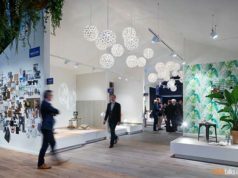 He said that over the years Freeman has seen significant growth with offering its product mix not only to trade shows but totally different markets of live shows and B2B events. It has now expanded its services into creativity, digitalization and strategizing. He also told that Freeman has significantly grown geographically with clients worldwide and Freeman offices in North America, UK, Middle East, Australia, Singapore and China. During the annual conference, EFI also announced the new FograCert achievement which is EFI™ Fiery® digital front end technology and the Landa S10 Nanographic Printing® Press combined to be the first to receive Fogra’s new expanded FograCert Validation Printing System certification. Mr Andreas Kraushaar of Fogra congratulated both EFI and Landa for the achievement of Fogra seals. EFI Connect has always offered tremendous learning, networking and business growth opportunities to its participants. 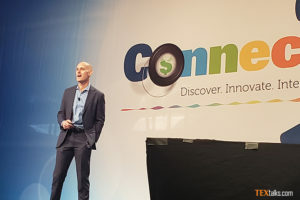 Anyone who has been to Connect will certainly confirm the benefits of personal interaction with EFI engineers and executives, networking with other users, and hands-on demonstrations which just cannot be replicated online.